CANTON, Mass. 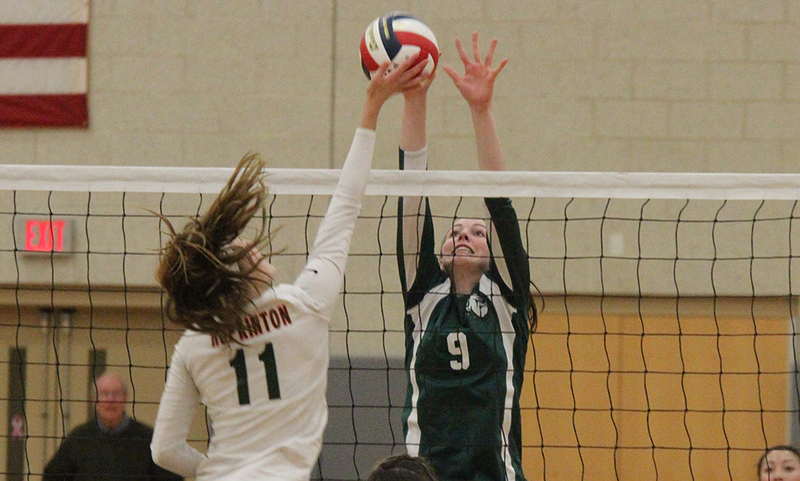 – Canton has shown flashes of improvement on the offensive end this season, putting together strong stretches that kept the Bulldogs close with perennial powers like Franklin, Mansfield, and North Attleboro. While there have been good patches, Canton had only reached 60 points once this year, against Sharon, before Friday night. 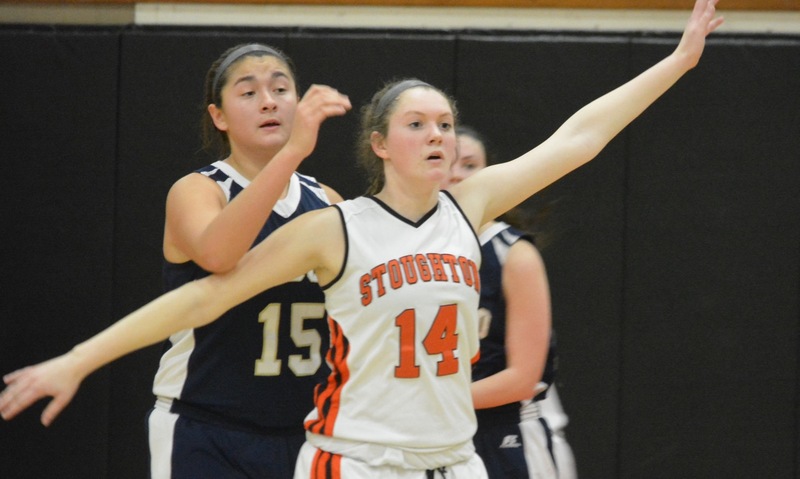 The Bulldogs clicked on offense for four quarters against visiting Taunton, including a 20-point second quarter, had 10 players get on the score sheet, and had a season high for points in a 63-47 victory. The Tigers had gotten off to a strong start to the game, building an 11-4 lead early on behind five of Lily Patnaude’s game-high 24 points and four from Hannah Moniz. Canton rallied with the final six points of the first quarter to close the gap to just one and had five players with two points apiece in the first, including a layup from Erin Devine, set up by Maggie Connolly. MacKenzie Handrahan (eight points, nine rebounds) scored on a rebound to start the second and Patnaude buried her second three. Canton scored six straight to take the lead, including a three-pointer by Jess Powers, who was playing her first game of the season after recovering from a knee injury suffered during lacrosse season. Abby Kingman knocked down a three to regain the lead at 19-18, but the Bulldogs closed out the half with 12 straight points to go ahead to stay. Taunton struggled against Canton’s height, particularly when Handrahan went to the bench with her third foul early in the second. Hannah Jerrier scored to give Canton back the lead and then assisted on a layup by Connolly (10 points, 14 rebounds), who added a jumper and pulled down eight boards in the first half alone. Jerrier also assisted on a basket for Casey Shea (six point) in the second quarter, one of 18 assists for the Bulldogs on the night. Canton kept pulling away in the third quarter, opening the lead out to 18 heading into the fourth. Jerrier was the key to the attack with nine of her team-high 19 in the third. Jerrier had all but five points in the paint (the other five were at the line) and Canton continued to get the ball into the paint, either off rebounds or over the top of the Taunton defense. Patnaude tried to keep the Tigers in the game in the second half, scoring eight points in each of the third and fourth quarters. 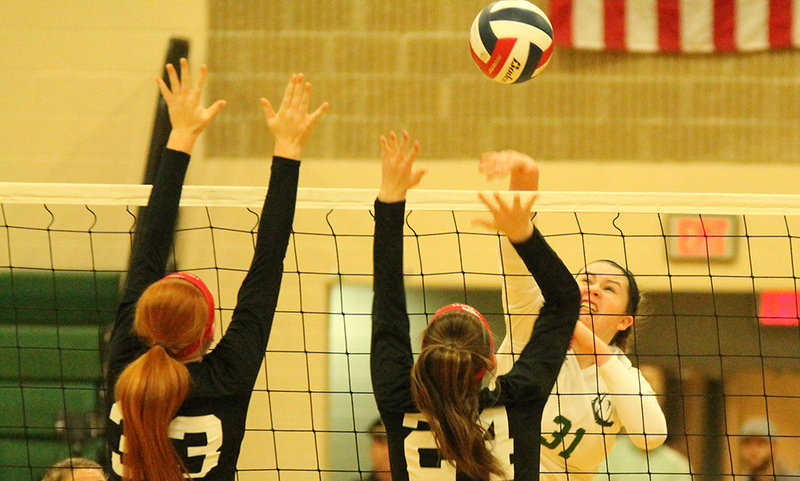 Harrigan called it a “breakout” game for the sophomore. The Canton offense continued to be unstoppable in the fourth. On back-to-back possessions, Shea popped out to the high post and hit Emma Murphy on back-cuts across the baseline for layups. Jerrier added six more in the fourth and Lindsey Barrett and Molly Ludwig came off the bench to knock down jumpers. Canton (3-9, 2-8) will try to keep the momentum going on Sunday against Sharon at the Dunkin’ Donuts Center in Providence. Taunton (0-14, 0-10) will try to bounce back on Tuesday against Stoughton. Taunton, 65 @ New Bedford, 46 – Final – Click here for a recap of the game. Canton, 38 @ Dover-Sherborn, 32 – Final – Hannah Jerrier scored 16 points and pulled down 12 rebounds in the win for the Bulldogs. 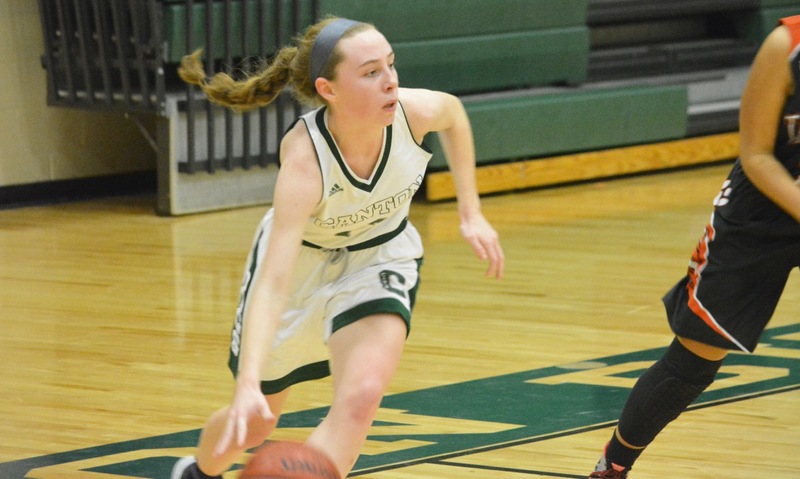 Maggie Connolly added a career-high 12 points along with six steals and Casey Shea had four points, eight rebounds, and four blocks for Canton, which broke open a tie game heading to the fourth quarter, outscoring the Raiders 11-5 for its first win of the season. Mansfield, 49 vs. Bishop Feehan, 63 – Final – Click here for a recap from this game. Foxboro, 69 @ Milford, 85 – Final – James Donoghue, Kevin Decker and Johnmichael Boucher each came in first in a pair of events for Foxboro. Donoghue was first in the 500 free, Decker touched first in the 100 backstroke and Boucher finished first in the 100 breaststroke. Anthony Quarterone, Joshua Site and Thomas VanDell made up the 200 free relay with Decker. Donoghue and Boucher were joined by Shawn McNamara and Dan Egan in the 400 free relay. Foxboro 65 @ Milford, 103 – Final – Lexi Nelson and Allison Curran both won a pair of events for Foxboro. Nelson was first in the 200 IM and Curran finished first in the 200 free. Nelson and Curran were joined by Faith Perry and Lindsey Nelson in the 400 free relay team that finished first.